1850 New Testament. The Commonly Received Version of the New Testament of Our Lord and Savior Jesus Christ, with Several Hundred Emendations, edited by Spencer H. Cone and William H. Wyckoff. New York: Lewis Colby, 1850. 1862-64 New Testament. The New Testament of our Lord and Savior Jesus Christ. The Common English Version, Corrected by the Final Committee of the American Bible Union. New York: American Bible Union, 1862-64. This thorough revision of the 1850 edtion was prepared by various scholars and edited by Thomas J. Conant, Horatio B. Hackett, and Asahel C. Kendrick. It was first issued in parts, the Gospels appearing in 1862, and Acts through II Corinthians in 1863. A volume containing the complete NT first appeared in 1864. 1865 New Testament. The New Testament of our Lord and Savior Jesus Christ. The Common English Version, Corrected by the Final Committee of the American Bible Union. Second Revision. New York: American Bible Union, 1865. This was a slight revision of the edition of 1862-4. 1891 New Testament. The New Testament of Our Lord and Savior Jesus Christ. American Bible Union Version. Improved Edition. Philadelphia: American Baptist Publication Society, 1891. This revision of the 1865 edition was issued in two editions, one with baptizo translated "immerse" and one with "baptize." 1912 Bible. The Holy Bible Containing the Old and New Testaments, An Improved Edition (Based in Part on the Bible Union Version). Philadelphia: American Baptist Publication Society, 1913. In keeping with the usual Baptist interpretation of the Greek word baptizo, the word "immerse" is substituted for "baptise," and "immersion" for "baptism." But many other changes unrelated to distinctive Baptist teachings were also made. And so, for example, in Matthew 28:19 there are several changes aside from the rendering of baptizo: "Go ye, therefore, and disciple all nations, immersing them into the name of the Father, and of the Son, and of the Holy Spirit" (cp. the KJV "Go ye therefore, and teach all nations, baptizing them in the name of the Father, and of the Son, and of the Holy Ghost"). Matthew 5:16 has "Thus let your light shine before men, so that they may see your good works" instead of "Let your light so shine before men, that they may see your good works." In Matthew 6:27 "being anxious" is substituted for "taking thought." In John 10:30 "I and the Father are one" replaces "I and my Father are one." Romans 6:17 says "But thanks be to God; for ye were the servants of sin; but ye have obeyed from the heart that form of doctrine which was delivered to you," instead of "But God be thanked, that ye were the servants of sin, but ye have obeyed from the heart that form of doctrine which was delivered you." In Revelation 4:6, 7, 8 "living creatures" replaces "beasts." Aside from the "immerse" alterations, the revisions are not very controversial, and they obviously tend to improve the accuracy or clarity of the version. In the end, the revision proposal was voted down, and supporters of the revision were voted out of office, with the exception of Cone, who continued to be highly respected despite his unpopular stand on this particular issue. But Cone resigned in protest. Later the same year, he joined others in founding another Bible Society that would support the revision of the KJV, the American Bible Union. In 1857 another disgruntled employee of the Bible Union, Orrin B. Judd, published a pamphlet in which the same complaints were made. 7 These pamphlets did real damage to the reputation of the Bible Union, but the project continued. Despite all the opposition from without, and the trouble within its own ranks, the Bible Union managed to publish a revision of the New Testament prepared by various scholars and edited for the Society by Thomas J. Conant, Horatio B. Hackett, and Asahel C. Kendrick. It was first printed in parts from 1862 to 1864, and was introduced by the following paragraphs "To the Reader." It is the object of the following revised version of the Gospels, to give a faithful expression of the meaning of the Sacred Text; and to do this, as far as is possible, in the words of the common English version. The Committee of Revisers have kept in mind, that their work is intended for the use of the common reader ; and that many of the nicer distinctions of idiom and phraseology, which are appropriate in a version for the learned, or for use in the lecture-room, would be out of place here. In accordance with the object of the Society, for whose use this revision is prepared, to obtain a true and faithful rendering of the inspired text, the words which express the initiatory rite of the Christian Church are rendered by their literal equivalents, as was done by Luther and others, in the versions from the Greek into the vernacular languages of the continent of Europe. It is proper to say, that there is a difference of opinion among the members of the Committee, in regard to the substitution of ' the Immerser' for ' the Baptist.' In the view of a part of the Committee, if the verb which expresses the Christian rite is translated, the official title derived from it should be translated also. Others object to this as an inconsistency, in a revision which transfers other official titles (as 'the Christ,' instead of ' the Anointed') , and as leading to confusion and inconvenience, by substituting new and unknown names of historical personages, for those by which they are universally known in English usage. This word, though employed in this edition, is subject to further consideration by the Committee. The Committee have aimed to exhibit, in their revision, the characteristic manner of each evangelist; following the true reading in each where they have been assimilated to one another in the later manuscripts, and giving the true rendering where they have been improperly assimilated, or made to differ, in the common version. The independent testimony of each inspired witness is thus presented to the reader unimpaired. Owing to the shortness of the time allowed for preparing this revision of the Gospels, and the distance at which the members of the Committee reside from each other, rendering consultation difficult, they have found it necessary to reserve their decision on some questions which are still under consideration. These questions, for the most part, relate to points of expression merely, and not to the meaning of the text. An Appendix is added to some copies, for those who may desire it, showing the true text from the oldest manuscripts, followed in this revision. The edition of 1862-64 was soon revised and published in a new edition in 1865, introduced by the following "Note." The paragraph form has been adopted in preference to the division by verse, which is a modern mode of division, never used in the ancient scriptures. But, for convenience of refence, the numbers of the verses are retained. '1. The exact meaning of the inspired text, as that text expressed it to those who understood the original Scriptures at the time they were first written, must be translated by corresponding words and phrases, so far as they can be found in the vernacular tongue of these for whom the version is designed, with the least possible obscurity or indefiniteness. '2. Whenever there is a version in common use it shall be made the basis of revision, and all unnecessary interference with the established phraseology shall be avoided, and only such alteration shall be made as the exact meaning of the inspired text and the existing state of the language may require. '1. The common English version must be the basis of the revision; the Greek text, Bagster & Son's octavo edition of 1851. '2. Whenever an alteration from that version is made on any authority additional to that of the reviser, such authority must be cited in the manuscript, either on the same page or in an appendix. '3. Every Greek word or phrase, in the translation of which the phraseology of the common version is changed, must be carefully examined in every other place in which it occurs in the New Testament, and the views of the reviser given as to its proper translation in each place. In the "Rules for the Revision" given above it will be noticed that the translators were instructed to use "the received Greek text, critically edited, with known errors corrected," and the text to be used is further specified as "Bagster & Son's octavo edition of 1851." But there is an unfortunate ambiguity in the phrases "critically edited, with known errors corrected." Was this to be understood as a description of the Bagster edition, as being free of typographical errors? Or did it give the translators permission to revise the Greek text according to modern text-critical methods? Archibald Macay, in the letter referred to above, insisted that the rules adopted by the Bible Union "admit of no departure from the received text: as critically edited, (not by revisers of the Bible Union, but by distinguished scholars in times past,) and subsequently published by Bagster and Sons in 1851." But at least some of the revisers understood it otherwise. In a draft copy of the Gospel of John examined by Maclay he noticed that "one of the portions rejected as spurious, embraced twelve consecutive verses!" That would of course be the story of the Adulteress in the eighth chapter, which most critical scholars regarded as a later insertion, not originally belonging to the Gospel. But this kind of revision was not expected or thought to be proper even by many educated men of the time. In the middle of the nineteenth century such alterations were rather shocking to some, especially of the older generation, like Maclay, who feared that it would "shake the confidence of the people in the canon of the sacred writings." The correction of the Greek text is quite conservative, and not very consistent. For example, Acts 28:29 is omitted, and a note there states that the verse "is wanting in the oldest and best copies." But in most similar cases, where competent critical scholars of the day (Tischendorf, Tregelles, Alford) agreed that certain words had been added in the later manuscripts, we find them represented in the English text without any note. Sometimes brackets are used to indicate words of questionable authenticity. In John 5:3-4 the words omitted by all the critical editions (KJV "waiting for the moving of the water. For an angel went down at a certain season into the pool, and troubled the water: whosoever then first after the troubling of the water stepped in was made whole of whatsoever disease he had") are put in brackets, and a note states that they "are wanting in the oldest and best copies." The story of the adulteress in John 7:53-8:11 is also bracketed, and a note says "The words in brackets are wanting in most of the ancient copies." But again, in its use of blackets the version does not consistently reflect the opinions of contemporary experts in the subject. Probably the American Bible Union revisers did not feel free to make many changes of this nature, or doubted that the new text-critical science of their time really warranted any settled conclusions about the text at many points. Critically annotated editions of the Greek text were not widely available in America at the time, and were just beginning to appear in Great Britain. In 1883 the American Bible Union (along with the American and Foreign Bible Society) dissolved, after donating its property and copyrights to the American Baptist Publication Society. Some years later, the officers of this Society decided to produce a newly revised edition of the New Testament. The edition appeared in 1891, with the following "Prefatory Note." In 1865, the American Bible Union published a Revised English Version of the New Testament, which has been widely used. The demand for a new edition having been made, and the money necessary having been furnished, the Executive Board of the American Baptist Publication Society — to which Society the home Bible work of Baptists was committed by the Bible Convention at Saratoga, N. Y., May 22 and 23, 1883 — appointed Alvah Hovey, D. D., John A. Broadus, D. D., and Henry G. Weston, D. D., a committee to prepare an improved edition of this Revised New Testament of the American Bible Union. To meet the wishes of many persons, this improved edition is published in two forms, one of which retains the American Bible Union translations of baptizo (immerse, etc. ), the other has the Anglicised form of the Greek word (baptize, etc.). From 1856 to 1878 five volumes were published by the Bible Union containing parts of the Old Testament revised and annotated by Thomas J. Conant (1802-1891), who in 1857 resigned from his position at Rochester Theological Seminary to devote himself to the production of scholarly works for the Bible Union. Job was published in 1856; Genesis in 1868; Psalms in 1871; Proverbs in 1871; and a volume containing Joshua, Judges, and Ruth in 1878. Dr. Conant also prepared revisions of the books of Samuel, Kings, and Chronicles, but they were never published. These volumes were much more than revisions of the King James version: they are commentaries, with long scholarly introductions and thousands of explanatory notes. Some editions included the Hebrew text in parallel with the KJV and Conant's revision. It seems that after the death of William Wyckoff in 1877, the Bible Union lost its momentum, and the revision project stalled. Thomas Armitage states that by 1883 "the Bible Union was much embarrassed by debt." 12 It was largely for this reason that the Union dissolved itself, after handing its property and projects over to the American Baptist Publication Society in Philadelphia. The completion of the Old Testament revision is described in the “Prefatory Note” to the Old Testament included in the Bible version published by the Society in 1912, reproduced below. Following this, we give also the “Prefatory Note” to the New Testament, which describes the final revision of the New Testament books. In 1883, at the Saratoga Convention, the Bible work of the denomination at home was committed to the American Baptist Publication Society. With it was coupled the duty of continuing the versions of the Bible Union. At a later conference it was determined that the revision of the Old Testament should be completed as funds should be furnished for this work. In the course of time sufficient means had accumulated, and in 1889 the work was assigned as follows: To Prof. Barnard C. Taylor, D. D., of Crozer Theological Seminary, was given the revision of Prof. T. J. Conant's Bible Union version of Genesis, Joshua, Judges, Ruth, I. and II. Samuel, I. and II. Kings, Job, Psalms, and Proverbs, and also the translation of Exodus, Leviticus, Numbers, and Deuteronomy; to Prof. J. R. Sampey, D. D., of the Southern Baptist Theological Seminary, was assigned the translation of I. and II. Chronicles, Ezra, Nehemiah, Esther, Ecclesiastes, Song of Solomon, and Lamentations. Prof. William R. Harper, of the University of Chicago, undertook the translation of Isaiah and the minor prophets, while Prof. Ira M. Price, Ph. D., of the same institution, assumed the task of translating Jeremiah, Ezekiel, and Daniel. In making these assignments it was understood that each writer should be responsible for his own work and follow his own plan. In this connection the publishers acknowledge the services of Prof. J. M. P. Smith, of the University of Chicago, in reading and revising the proof of Doctor Harper's portion. When the work of translation was sufficiently advanced, that of composition began. Progress was slow, however, and this part of the undertaking was not completed until the year 1910, when, to the great gratification of the Society, the task assigned by the Saratoga Convention in 1883 was ended in so far as production is concerned. There are one or two features of this revision to which we call special attention. As is well known, in the Authorized and Revised versions, supplied words are printed in italics. For the most part in this work such words are reduced to a minimum, and where they do occur, they are enclosed in brackets [ ] so that the pages are not defaced by italicized words. In addition, while in Job, Psalms, and Proverbs in the standard revisions the poetic form of the Hebrew is recognized, in the prophets it is disregarded. In this revision, in the prophets likewise, this form is employed, and their deliverances will be found to have gained thereby in clearness and force. As a translation is not a commentary, few notes are found in this version. Those that do appear pertain mainly to the text itself and are not expository. While from the nature of the case there could not be the difference between this revision and the Authorized and Revised versions of the Scriptures that obtains between these and the Improved Edition of the New Testament, it is believed that the difference is sufficient to justify its production, and commend it to public favor. The Society cannot refrain from congratulating the denomination on the completion of this great work, and it cherishes the hope that it may aid in making current that Word whose entrance to the heart and life always gives light. The New Testament in this volume is the Bible Union version, fourth edition. The American Bible Union published a Revised version of the New Testament, in three small volumes, in 1862, 1863, and 1864 respectively, and the whole in one volume in the last named year. Some questions having been left unsettled, a second revision, so denominated on the title-page, was issued in 1865. This is the well-known, widely used, and highly commended "Bible Union New Testament." Both editions were prepared by a final committee, consisting of those able and devout scholars, Thomas. J. Conant, D. D., Horatio B. Hackett, D. D., and Asahel C. Kendrick, D. D. Probably the greater part of the actual work was done by Doctor Conant, but in consultation with his associates. This version had a world-wide influence in promoting and enriching other revisions, especially the Anglo-American or Canterbury. After some years, a third revision was projected, with a view of attaining as nearly as possible to perfection, especially in the matter of English expression; but this project was not carried out, owing to unfavorable circumstances, until after the Saratoga Bible Convention of 1883. The American Baptist Publication Society then proceeded to arrange for the prosecution of the work on the Old Testament; and appointed Alvah Hovey, D. D., John A. Broadus, D. D., and Henry G. Weston, D. D., to prepare an improved edition of the Revised New Testament. This was issued in 1891, and has been pronounced by competent judges the best version of the New Testament existent in our language. And now that the work on the Old Testament has been completed, and the Society is about to publish the whole Bible, it has been thought desirable again to review the New Testament, in order to secure uniformity and consistency of rendering more completely and to make some further improvements, largely of a minor description, so that without changing its character a very excellent version may be made at least a little better. This work has been done with great pains and minute care. The publishers appreciatively acknowledge in connection therewith the services of Rev. J. W. Willmarth, D. D., who likewise aided in reading and correcting the proof. It is no part of a translation pure and simple, to supply a commentary; but some notes are indispensable. Such as appear are, for the most part, explanatory of the text and are not expository. To meet different views as to the transference or translation of "baptizein" the "Improved Edition" was issued in two forms, one using the word "immerse," and the other "baptize." It has been deemed inexpedient to follow this plan in publishing the whole Bible in two forms. Therefore, wherever these words occur, as descriptive of baptism, the commonly used Anglicized form "baptize," etc., is given, followed by the exact translation in parentheses ("immerse"). Both forms are to be regarded as parts of the text of this version, and either or both may be used. The sacred writers used the current style of the languages in which they wrote. A version filled with archaic forms and obsolete or obsolescent words, may be deemed to exhibit a "sacred style," but it misrepresents the manner of the inspired penmen. King James's version, with all its great excellencies, is in its style in marked contrast with present usage. It is the aim of the Improved Edition, while seeking to avoid undignified or newly coined words and phrases, to give the word of God in intelligible and current English. It is believed that, on account of this feature, the word of life in this version will come home to the heart and mind of the reader with increased force and a more impressive reality. And now this version of the New Testament is commended to the favor of God and of his people, in the hope that it will enable the English reader, more accurately than in any other, to read "in his own tongue wherein he was born, the wonderful works of God." 1. Thomas Armitage, A History of the Baptists; Traced by their Vital Principles and Practices, from the Time of Our Lord and Saviour Jesus Christ to the Year 1886 (New York: Bryan, Taylor, & Co., 1887), p. 901. 2. This portion of the preface is quoted from a review article published in The Primitive Church Magazine, vol. 7, no. 81 (September 1850), p. 284. 3. As quoted by Alexander Campbell, "Portentous Discussion and Decision," The Millenial Harbinger, series 3, vol. 7 (1850), pp. 436-437, reproducing text from "the New York Recorder of May 29, 1850." 5. The Bible Question Decided in a Correspondence between the American Bible Union and Rev. William R. Williams, D.D. in behalf of the Amity Street Baptist Church. Sixth Edition (New York: Holman and Gray, 1852), p. 7. Concerning the moral and financial support received from followers of Campbell, Jack. P. Lewis writes, "The Stone-Campbell Movement was in the forefront of agitation in the nineteenth century for a revision of the Bible. Campbell insisted that the availability of better text materials, the advance in the knowledge of the Greek language, plus the changes in the English language since 1611 all made revision imperative. Many preachers believed that the translators of the KJV had been unduly influenced by Calvinism and insisted that a better version than the KJV was needed. The Movement furnished much of the money for the making of the American Bible Union Version. A revision committee was formed in Memphis, Tennessee, in 1852 not to make a translation but to encourage cooperation in the effort. Campbell prepared the preliminary copy of the Book of Acts. Movement leaders, however, were disapointed at the final outcome of the whole New Testament." (Jack P. Lewis, "Bible, Versions and Translations of," in The Encyclopedia of the Stone-Campbell Movement, edited by Douglas A. Foster and Anthony L. Dunnavant [Grand Rapids: Eerdmans, 2004], p. 88). 6. The pamplet was privately printed and distributed, under the title The Resignation of Rev. Archibald Maclay, D.D. as President of the American Bible Union, Explained, in a Letter to Rev. John I. Fulton (New York, 1856), and reprinted in the New York Times. A response to the letter's criticism was provided by James Edmunds and T.S. Bell, Discussion on Revision of the Holy Oracles, and upon the objects, aims, motives, the constitution, organization, facilities, and capacities of the American Bible Union, for revision. By two 'laymen' of the revision association, and five clergymen, etc. (Louisville, Kentucky: Morton & Griswold, 1856). 7. Orrin B. Judd, A Review of the American Bible Union: containing an account of its origin, object, and conduct, with a list of its revisers and revisions, exhibiting its condition and prospects (New York: E.H. Tripp, 1857). Judd had worked on the Gospel of Matthew for the ABU version, but had been dismissed for his inability to get along with Wyckoff. 8. Armitage, op. cit., p. 908. 9. Armitage, op. cit., p. 909. We doubt that Philip Schaff contributed much to this project. His name does not appear with the others in the “Prefatory Note” to the New Testament, 1912, reproduced above. 10. George B. Jewett, "The New Baptist Version," in The Congregational Review vol 8, no. 43 (September 1868), p. 435. 11. It is freely conceded that the basic meaning of baptizo is "dunk," and that the early church baptised by immersion. Even John Calvin wrote, "the word 'baptize' means to immerse, and it is clear that the rite of immersion was observed in the ancient church" (Institutes 4.15.19). But immersion is often inconvenient, especially in cold climates, and the earliest records of the church indicate that Christians did not think that the mode of baptism was essential to its significance and effect. 12. Armitage, op. cit., p. 912. Proceedings of the Bible Convention which Met in Philadelphia, April 26, 27, 28, and 29, 1837, together with the Report of the Board of Managers of the American and Foreign Bible Society, Embracing the Period of its Provisional Organization New York: American and Foreign Bible Society, 1837. Thomas Armitage on the American Bible Union Versions. — From Thomas Armitage, A History of the Baptists; Traced by their Vital Principles and Practices, from the Time of Our Lord and Saviour Jesus Christ to the Year 1886 (New York: Bryan, Taylor, & Co., 1887), pp. 893-918. Open Letter of William R. Williams to the American Bible Union (1852). The Resignation of Rev. 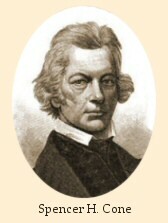 Archibald Maclay, D.D. as President of the American Bible Union, Explained, in a Letter to Rev. John I. Fulton (New York, 1856). A letter dated June 12, 1856, in which Maclay gives his reasons for resigning from the Presidency of the American Bible Union. The 'Second Revision' New Testament of 1865 — The New Testament of our Lord and Savior Jesus Christ. The Common English Version, Corrected by the final committee of the American Bible Union. Second Revision. New York: American Bible Union, 1866. See also the printing of 1867 (also here), and the digitized text of the edtion from the Gutenberg Project. The 'Improved' New Testament of 1891 — The New Testament of Our Lord and Savior Jesus Christ. American Bible Union Version. Improved Edition. Philadelphia: American Baptist Publication Society, 1912. Edition with Baptize. The Complete Bible of 1912. Annotated bibliography on the various editions at The Internet Bible Catalog (bibles.wikidot.com). Thomas J. Conant, The Meaning and Use of BAPTIZEIN Philologically and Historically Investigated, for the American Bible Union, by T.J. [Thomas Jefferson] Conant, D.D. New York: American Bible Union, 1861. Also here and here. Conant (1802-1891) was perhaps the most learned of the Baptist translators. Edward W. Cone and Spencer W. Cone, Some Account of the Life of Spencer Houghton Cone, A Baptist Preacher in America. New York: Livermore & Rudd, 1856. William H. Wyckoff, The American Bible Society and the Baptists (New York: John Barker, 1841). Also here. Orrin B. Judd, A Review of the American Bible Union: containing an account of its origin, object, and conduct, with a list of its revisers and revisions, exhibiting its condition and prospects (New York: E.H. Tripp, 1857). The author had worked on the Gospel of Matthew for the ABU version, but had been dismissed for his inability to get along with the editors. In this vindictive little book he attacks the whole project. But there is some useful information to be found in it. James Edmunds and T.S. Bell, Discussion on Revision of the Holy Oracles, and upon the objects, aims, motives, the constitution, organization, facilities, and capacities of the American Bible Union, for revision. By two 'laymen' of the revision association, and five clergymen ... Louisville, Kentucky: Morton & Griswold, 1856. Also here. A response to criticism of the revision project, very detailed and interesting. George B. Jewett, "The New Baptist Version," in The Congregational Review vol 8, no. 43 (September 1868), pp. 405-440. A very long, detailed examination of the version's faults. Many volumes published by the American Bible Union prior to 1865 present "provisional" revisions of portions of the Bible. Most of them are like commentaries, having extensive introductions and explanatory notes. The following are now available on the internet: Mark (1858); Luke (1860); Acts (1858); Matthew, Mark, Luke, John, Acts in one volume; The Epistles of Paul to the Thessalonians (1856); The Epistle to the Ephesians (1857); The Epistle to the Hebrews (1857); The Gospel of John (Conant, 1864); Philemon (1860, also here); The Second Epistle of Peter, the Epistles of John and Jude, and the Revelation (1854, also here). Volumes containing portions of the Old Testament revised and annotated by Thomas Conant: Genesis (1868, also here); The Book of Job (1857, also here and here); The Psalms (1871, also here); Proverbs (1872); The Books of Joshua, Judges, Ruth, I and II Samuel, I and II Kings (1884).